You hear it all of the time, “Every vote counts,” yet each year getting citizens to the polling places in America is an issue. 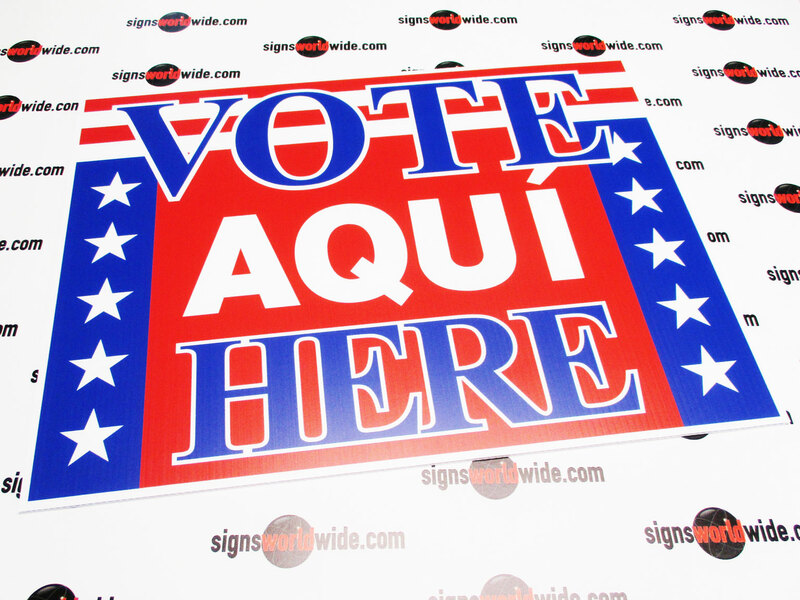 According to an article written in 2015 by the United States Census Bureau, voter turnout saw its lowest numbers since 1978 (read more here: https://www.census.gov/newsroom/press-releases/2015/cb15-122.html). 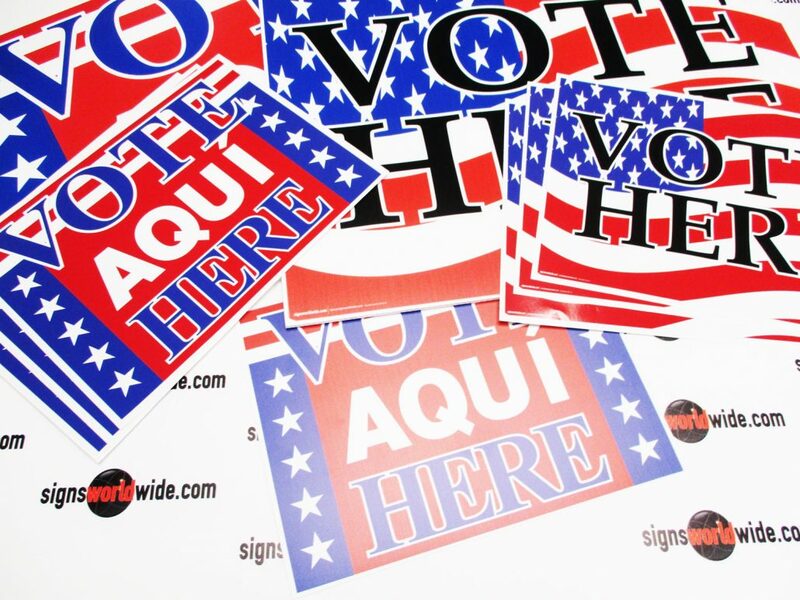 While the article does not venture into all of the reasons for this low voter participation, one could surmise that keeping voters aware of elections and polling stations would be an obvious way to spark extra participation and increase those low polling numbers. 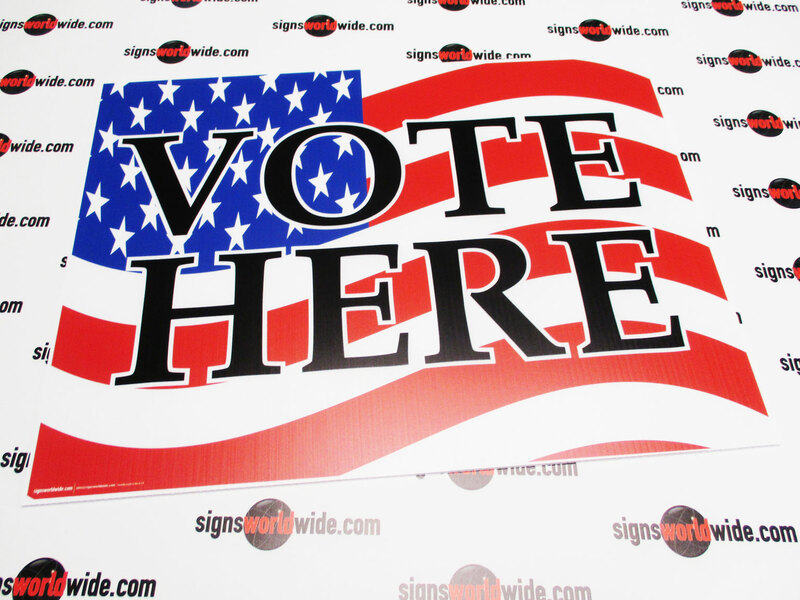 Signs World Wide has an invested interest in both strong polling numbers and a strong United States of America. Please Vote! All of our products are proudly made in the USA. We appreciate your business! © 2004-2015 Signs World Wide.